Updated our Websites to Wordpress 5.0 "Bebo"
The popular Content Managemet System Wordpress has released its new version of updated code. This version 5.0 is named as "Bebo". I have updated our websites (e.g motivation.thequotes.net) with this latest version of Wordpress. 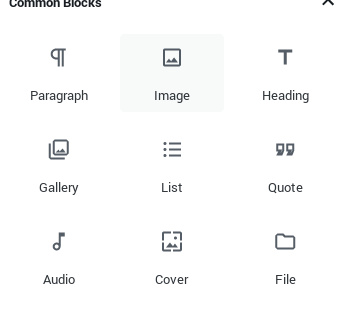 Wordpress 5.0 is coming with new block-based editor named as "Gutenberg". Any multi media content can be now added as Blocks. A lot of Blocks are available by Default, and many people are adding their own Blocks also. Some Default Blocks are, Paragraph, Quote, Image, Heading, Gallery, Video, Audio, Code, List, Button, etc. If you don't like this new Editor you can install "Classic Editor" plugin to use the Old Editor. It seems Wordpress will support the Classic Editor plugin through 2021. The "Bebo" comes with new Wordpress Theme "Twenty Nineteen" which helps to use the features of the new Editor properly. I have updated this new Theme for our Technology News website "Rtoz.Org". Is LinkedIn becoming Useless these days?